First published in 1912, Daddy-Long-Legs is an epistolary novel that follows orphan Jerusha "Judy" Abbott through her college years through a series of letters written to her anonymous benefactor, whom she nicknames "Daddy-Long-Legs." As Judy learns to navigate the complex world of studies, social life, and romance, her letters convey her growth and address the increasingly complex questions that preoccupy her. A classic coming-of-age story featuring a clever, engaging, and altogether realistic heroine, Daddy-Long-Legs has been a beloved tale since its publication and continues to delight its audiences. 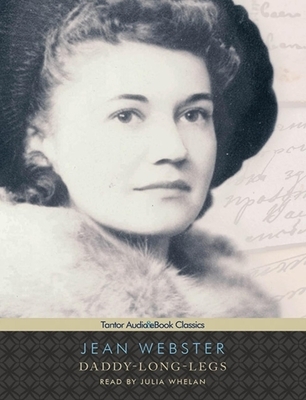 Jean Webster is the pseudonym of American writer Alice Jane Chandler Webster (1876-1916), whose best-known works include "Daddy-Long-Legs," "Dear Enemy," and "Just Patty." Julia Whelan, a former child actress best known for her award-winning work on ABC's "Once and Again," has won multiple "AudioFile" Earphones Awards and was named one of "AudioFile" magazine's Best Voices of 2010. Her "flawless" narration of Jandy Nelson's "The Sky Is Everywhere" earned a place in the first round of 2011 Grammy nominations for Best Spoken Word Album.